Have you ever heard of a Price Book? 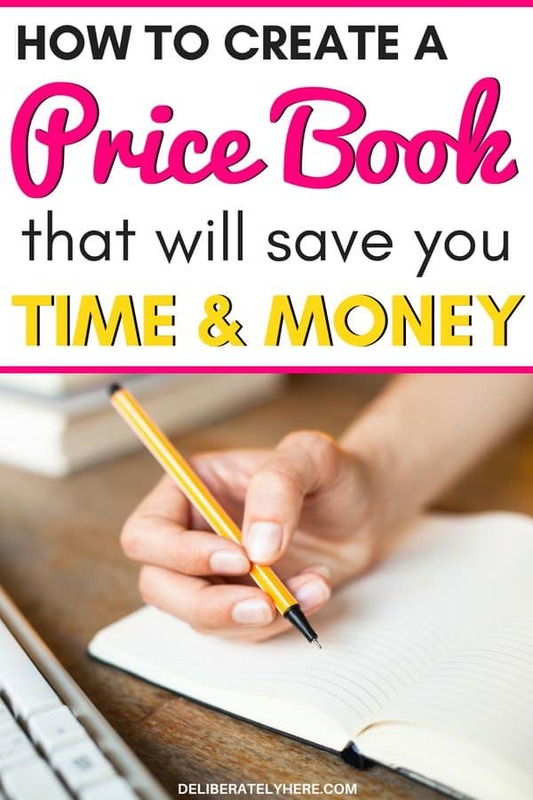 A price book is simply a little book (or spreadsheet on your computer, or scribbles in an old notepad) where you keep track of all the different prices of certain items that you buy a lot, from your local stores. How to create a price book to save money. The point of a price book is to help you to save money by allowing you easy and quick access to all the prices at all the different stores in your area. I’m sure there are several different apps and ways that you can go about creating your price book, and really, it doesn’t matter where you create it as long as it’s somewhere that works for you. For me, I like the good old-fashioned way of writing things down with pen and paper, so that is how I have chosen to create my price book. You can get your hands on the exact layout that I use for my price book for free, here. A price book is exactly what it sounds like, a book full of prices of certain items from different stores. 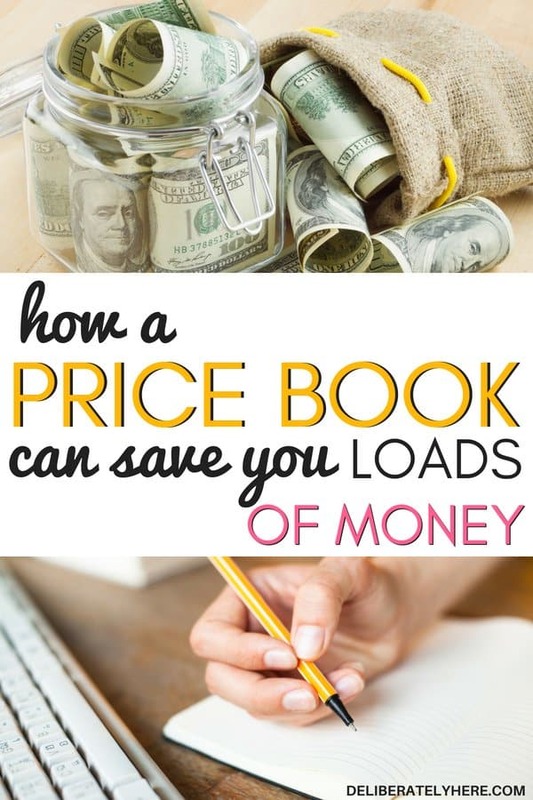 The most common thing people use a price book for is tracking the prices of groceries from store to store, but you can also use it for other things that you might buy often like clothes or office supplies. A price book lays out everything you need to know all in one easy-to-access booklet (or spreadsheet). If you get a flier in the mail from your local grocery store and they are boasting to have “the best price on milk!” – you can put that to the test and SEE for yourself if they do in fact have the best prices, or if the store on the other side of town is actually cheaper. Don’t fall victim to fliers and sale posters that boast their amazing prices, when in reality the sale might not be that good at all. A price book allows you to take the prices and with a quick glance, you can see if their sale price is actually lower than the prices somewhere else. So – a price book is a little booklet, notepad, piece of paper, or spreadsheet where you record prices of items that you regularly buy. 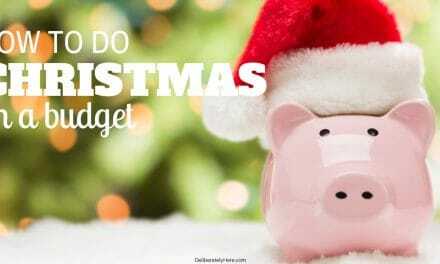 HOW DOES A PRICE BOOK SAVE YOU MONEY? A popular question when it comes to price books is, sure, it’s a neat idea and all, but really, how does it save you any money? The answer is – by allowing you quick access to the prices of items that you buy regularly at all the different stores in your area. 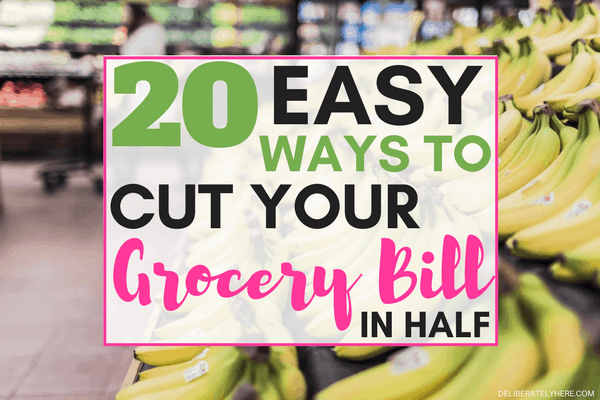 As much as you might not want to hear it, if you actually want to save money (especially on groceries), you are going to have to shop around at a couple different stores. I like to bunch my grocery shopping altogether so I get everything done in one afternoon. My price book allows me to know exactly which stores I need to go to for certain items, and eliminates all those times I used to go to random grocery stores to scope out prices, only to realize they are the most expensive in town. Now when I want to scope out prices all I have to do is pull out my handy price book! Whether you want to shop at every grocery store that you need to all in one day, or you want to space it out and shop at one place one week then a different place the next week to buy everything you didn’t get on your last trip (because it’s cheaper at this other store), it is up to you – but your price book will give you an idea of how many different stores you are going to need to shop at for your weekly/bi-weekly shopping trips. After some time of using your price book, you will start to learn which stores have the best prices on certain items, but you will still have your price book there for a backup if you ever can’t remember. So – your price book saves you money by showing you which stores to shop at to get the best prices on certain items that you may need and cuts out all that time wasted when you hop from store to store to check prices. Date. You want to record the date so that when you are looking back over your price book, if you recorded an item a long time ago, you know that the price may be different. Every time the price changes, add that new price to your price book (with the new date). DON’T erase the old product price and date to replace with the new one, keep the old one and ADD the new one into your price book so that you can keep track of how often prices go up or down, and so on.Maybe just add a note beside the outdated price so that you don’t get confused next time you go to check the price of that item. If you want, you can also add sale prices and dates into your price book so that you can start to learn how often certain items come on sale at certain stores. It is important that you always remember to write down which store the products that you are tracking are from. If you write down that a bag of apples is $7 at one store and $6 at the other, that doesn’t help you. You need to know which prices belong to which stores. This one is pretty self-explanatory. Obviously, you will need to write down what the product is that you are recording the price of. Having dates, prices, and names of stores written down won’t help you at all unless you know what product they are all for. Writing down the brand of a product seems to be in the “grey” zone for many people. I believe that it is important to write down the brand of the product because there is often a significant difference in price on something that is the exact same product, depending on the brand of it.If it is name brand, it could be a decent amount more money than the same product in a no-name brand, or the store brand. I recently did a comparison with cereals, the no-name brand of fruit loops that I buy taste just as good as the real fruit loops brand, the only difference is the price.The real fruit loops brand costs over $6 for the same size box of no-name fruit loops that only costs just over $2. By seeking out the no-name brand we are saving $4 on a box of cereal! Some people write down the brand of the product in their price books, while other people don’t. 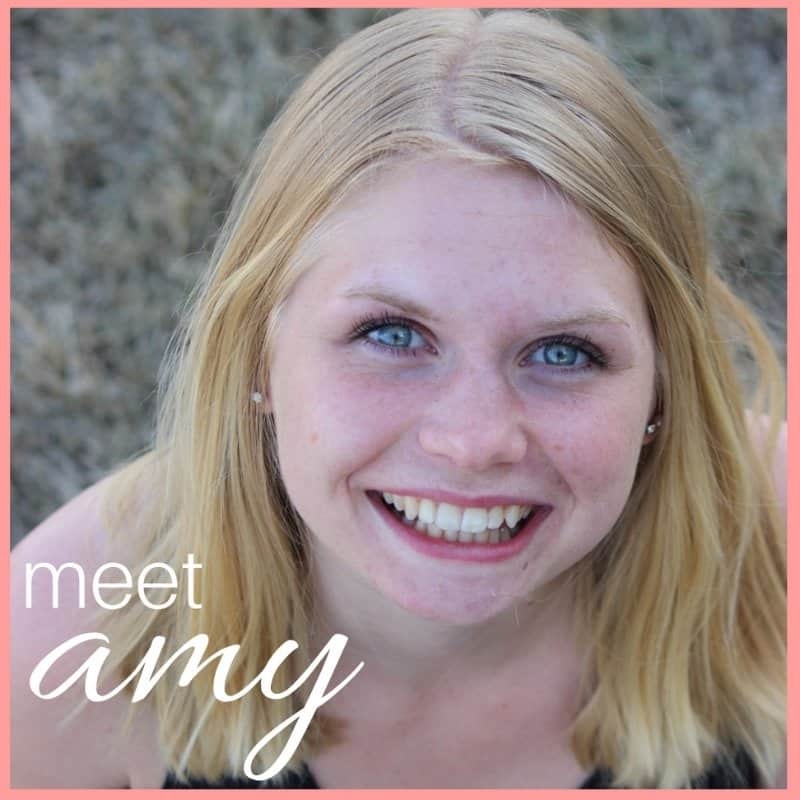 It comes down to what you want to do, but if you were to ask me, I would recommend documenting the brand, too. Recording the price is clearly one of the most important aspects of your price book. If you write everything down but have no price, it will do you no good.So, go ahead, write down the price of the items that you are documenting. It is important here that you write down the REGULAR price, not sale prices. If you want to record sale prices and the dates of sales, I think that is a fantastic idea, and you can do that on a separate piece of paper so you can learn how often your stores have sales. The size of the product is important to record as well, because it’s so easy to see something at a store that is cheaper than at the other store, and think you’re getting a smoking good deal, when it turns out you’re actually getting less of the product, and that is why the price is lower.Write down whether whatever you’re buying is a certain amount of milliliters, ounces, pounds, grams, or anything else. Like with the previously mentioned scenario where you thought you were getting a great deal on something, but it turned out that you were getting less of it so the price wasn’t a good deal, recording unit price is important for this same reason.Knowing how much you are paying per unit will make figuring out the best price on something even easier. Most stores tell you the unit price right on the shelf price tag by the product that you are buying – you may have to look closely, the unit price is often hidden on the tag in TINY writing.If the tag doesn’t offer the unit price, you can easily figure it out on your own by taking the TOTAL cost of the item you bought, and dividing it by the number of products there were in total. For example, say you bought a box of granola bars for $5 and there were a total of 15 granola bars in the box, the unit price would be $0.33. That is, $0.33 for one granola bar. Finding the unit price makes finding the best deal easier, because if you have a box of 15 granola bars for $5 beside a box of 46 granola bars for $15.95 and you’re tempted to get the bigger box, because bigger is usually cheaper, you’ll be able to quickly figure out the unit price and realize that the bigger box of granola bars are actually more expensive, at $0.35 a piece. Now that you’ve got your price book created and ready to go, it’s time to start filling in numbers. 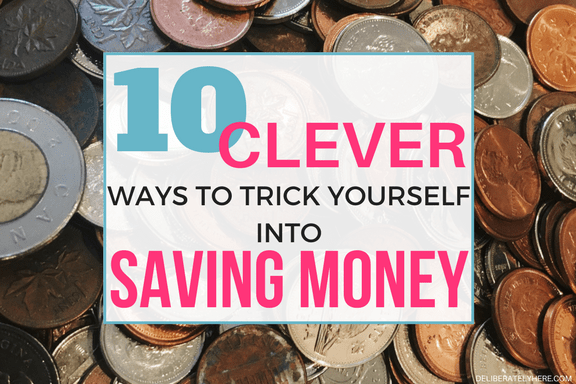 There are a few easy ways that you can do this, whether you have several months of receipts saved up that you can look back on and find the regular prices for items, or you want to look at the store’s website online to find prices for their items, or you actually want to take your price book to the store with you to find the prices and write them down. 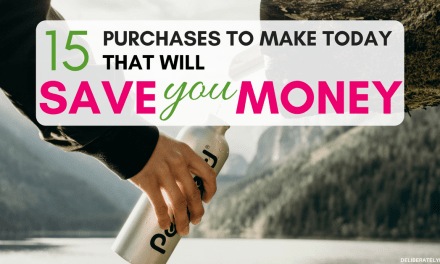 All those options work, and it doesn’t matter which one you choose, as long as you write down the prices, dates, stores, brands, size, product, and unit price for the things that you buy often. Many people choose to set their price books up in different ways, and it’s up to you which way you choose. Personally, I like to set mine up so I have one product per page. That means I would have one page for “romaine lettuce” and then I would list all the prices from a variety of different stores on that one page. This system ends up using more paper than the other systems, but I prefer it, because if I’m looking for a specific price on milk, I can flip to my “Milk” page and see all the different store’s prices for milk on that one particular page, rather than having to find the milk on multiple different pages. Other people like to sort their pages up by store. They will have all the products they buy on one page, and put the prices of that one particular store on that page, and so on. And yet, some people like to sort theirs out by category, having all the produce on one page, all the baking ingredients on the next page, and so on. How you choose to setup your price book is completely up to you, do what works for you. What system are you going to use for your price book? 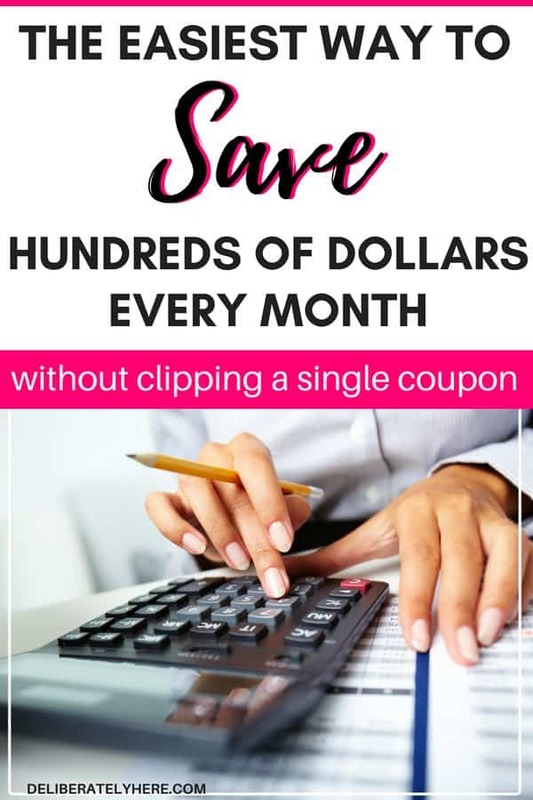 Do you love couponing, or are you excited to find this way that you can save money on groceries and other products without having to clip a single coupon? One important thing to remember is to keep your price book up to date. 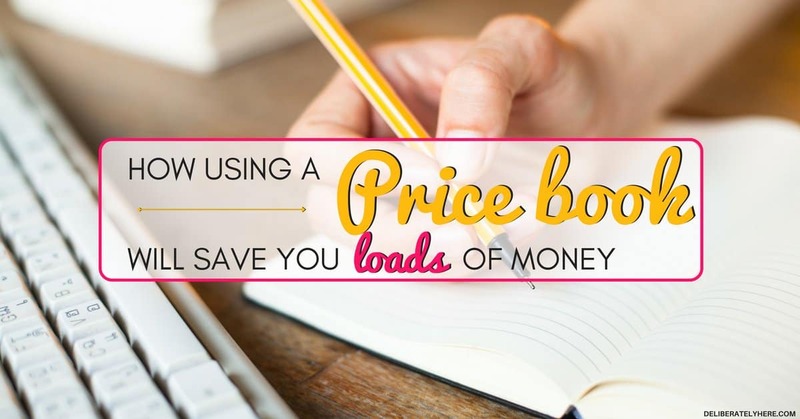 Every couple of months you will want to bring your price book with you to the store so that you can ensure the prices in your book are still accurate, and if the store prices have gone up or down, you can then adjust the prices in your price book.